← What Could Be More Democratic Than Pushing Vouchers for a Billionaire US Ed Sec? If the New York Times is such a great newspaper, why does it support Corporate Charter Schools as better than community-based, democratic, transparent, non-profit, traditional public schools in its pages? Test scores do NOT make a good or great school. Honest studies based on all the facts that go beyond the hype and lies pumped out repeatedly by the billionaire supported autocratic, opaque and secretive, for-profit, often fraudulent and child abusing corporate charter school industry repeatedly prove that these for-profit (not public) schools that take public money are no better, are often worse and are riddled with fraud and corruption. While traditional public schools are ridiculed and often closed for allegedly failing to educate ALL the students according to flawed laws and legislation, the corporate charter schools are often ignored when they fail worse than any public school has ever been accused of. Until the New York Times reports accurately and honestly without bias about what is really happening in the United States about the county’s arguably great community-based, democratic, transparent, non-profit, traditional public schools, I will not subscribe to your newspaper even to support you financially. I earned my BA in journalism from Fresno State Universty in California in 1973, and the New York Times inadequate and often biased coverage of the greed based autocratic war against the highly successful community based, democratic, transparent, non-profit, traditional public schools. I taught both English and journalism in California public schools for thirty years so I know what I am talking about. 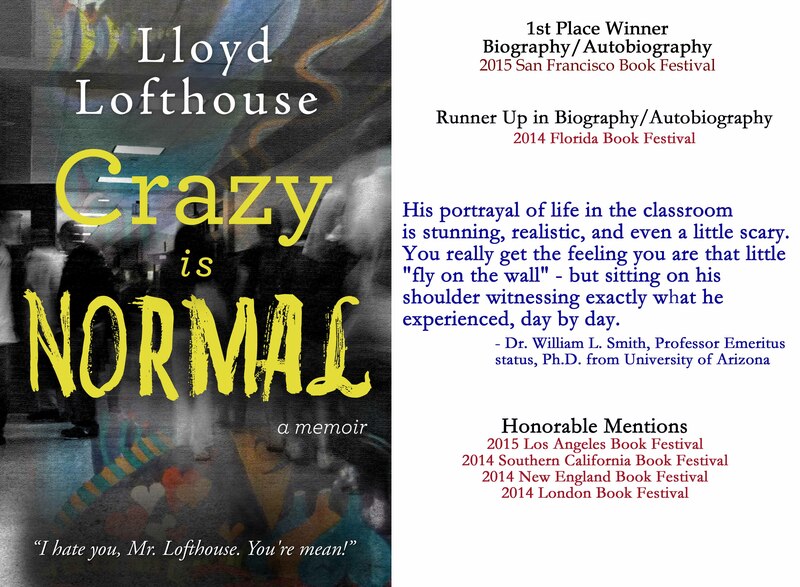 If you have the time; if you have an open mind, read my memoir “Crazy is Normal”. This memoir was not written with best-seller status in mind. It was written to reveal what goes on in an American classroom and it was based on a daily journal that I kept for one full school year. I know what I am talking about when I allege that America’s traditional public schools are a great success. Test scores do not measure success. The college graduation rate does (The U.S. of ranked annually as one of the most educated countries on the planet). The high school graduation rate by age 25 does. The fact that America’s publishing industry is the largest and most profitable in the world does, because, without readers, that publishing industry would be insignificant. And without the life-long learners, critical thinkers and problem solvers who are educated in America’s traditional, community base, democratic, transparent, non-profit (REAL) public schools, there would be no democracy. High test scores from flawed and secretive tests that profit corporations like Pearson do not educate life-long learners, critical thinkers and problem solvers that this country needs to survive as a Constitutional Republic. Let America’s highly educated teachers that belong to labor unions teach and get corporations, state capitals, and Washington DC out of the nation’s classrooms. Those teachers’ unions are necessary to protect teachers from frauds and bullies like Donald Trump. Leave the teaching to the teachers and remember, the teachers do not learn for the students. Children must come to school ready and willing to learn. I’m writing from the newsroom of The New York Times, where I’m a deputy managing editor, helping to oversee more than 1,200 journalists across the globe. I’m reaching out because you’ve shown an interest in Times journalism, and I thought that you’d like to hear how we view our mission. • When Syria insisted that it did not carry out a horrific chemical attack on civilians, Times reporters did groundbreaking work with forensic mapping to dispute the government’s claims. • Our Washington investigative team produced a special report on the F.B.I. director’s role in shaping the 2016 presidential election. After the director was dismissed by President Trump, the investigative team then came up with a series of scoops that revealed what had really happened behind the scenes. • With deep experience in Silicon Valley, our technology reporter exposed how Uber’s founder engaged in reckless corporate practices, touching off a federal investigation. Real reporting is vital in a media landscape full of deceptive or outright false news. And we can do it because we have the support of our subscribers. Of course, you can also look to The Times for compelling coverage on how to live a more fulfilling life. Our Cooking section offers thousands of recipes and how-to guides. Our experts offer advice on everything from how to avoid addiction to technology to how to exercise more effectively. We also believe in elevating our readers’ voices in order to highlight a diversity of views. In a landmark partnership with Google, we’re going to open up most of our articles to comments, creating an engaging and respectful forum for you to discuss the issues of the day. A little about me: I’ve spent 27 years at The Times, winning two Pulitzer Prizes, one for my work in Russia and one for exposing the abuse of mentally ill people. Like so many in our newsroom, I’ve devoted my career to The Times because I believe in the role that independent and original journalism can play in society. I hope that you’ll consider subscribing to The Times. Here’s how.